I’m sure it will all come flooding back to you. 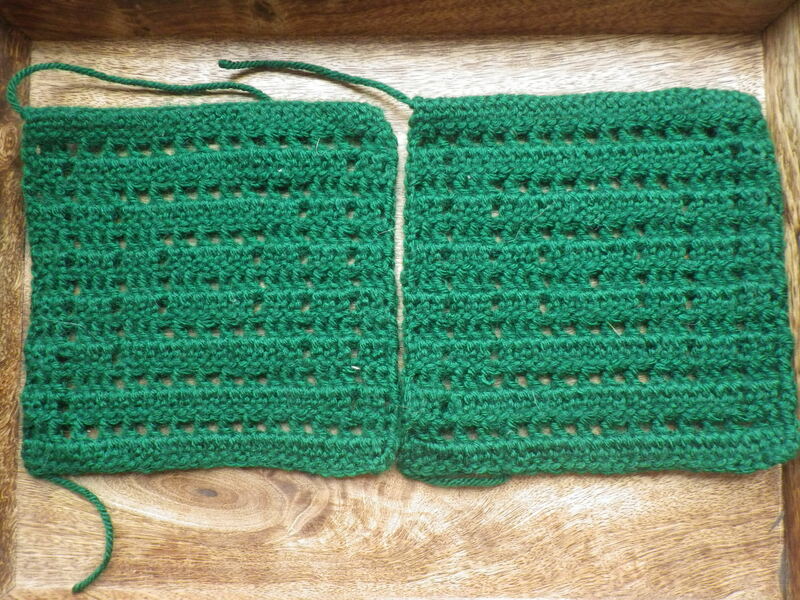 There is one main stitch for these slippers and once you can do that, they are really quite straightforward… I think I can now even remember the pattern without looking!! 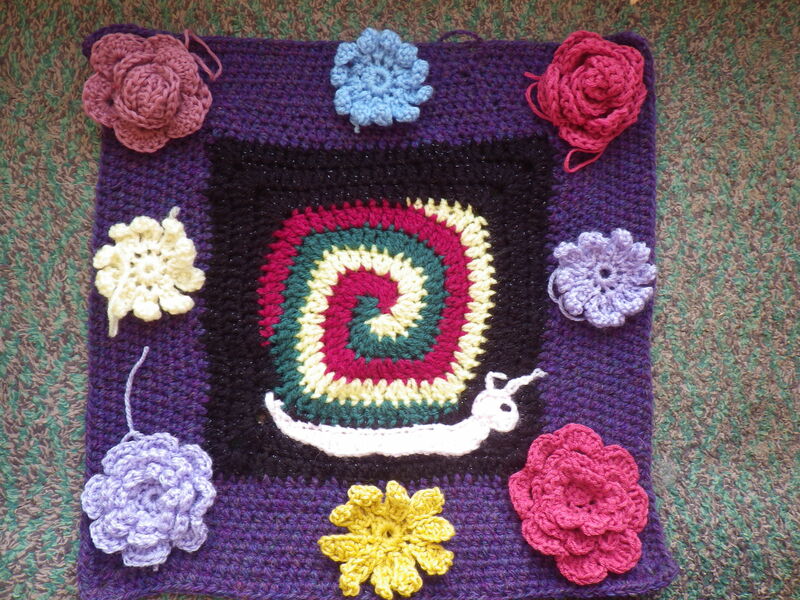 You’re getting some beautiful squares there! Can’t wait to see the finished masterpiece. I did spent part of last night sewing. 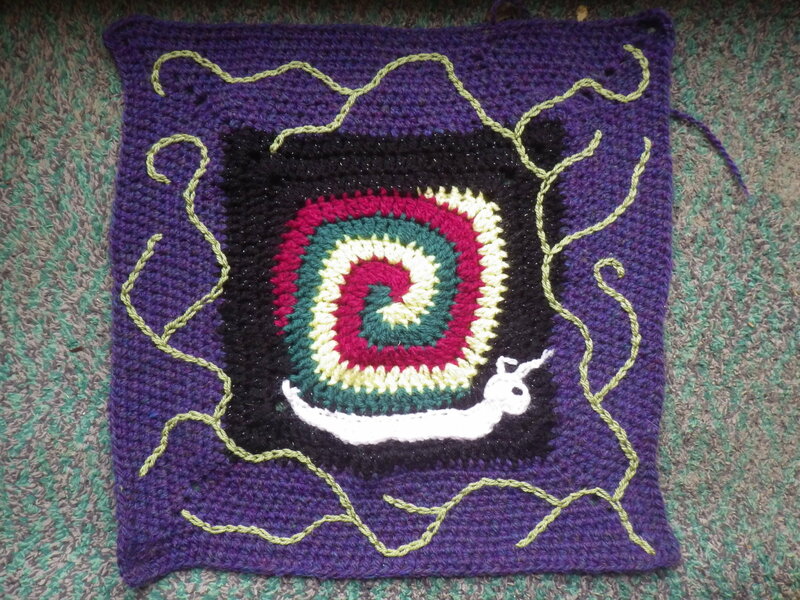 When I’ve worked on it a bit more, I will post some pictures… I’ve just been distracted by slippers and the snail! That is going to be a very happy snail once all those leaves are in place! Perhaps there should be little bites out of some of them! Great idea, you could embroider little teeth marks! ha ha ! ITSA !!!! I can hear you murmur something else under your breath 😉 That snail is sure turning out to be an attention seeker 😉 On a serious note, it is already looking stunning with the stems on the border. The different leaves are lovely. 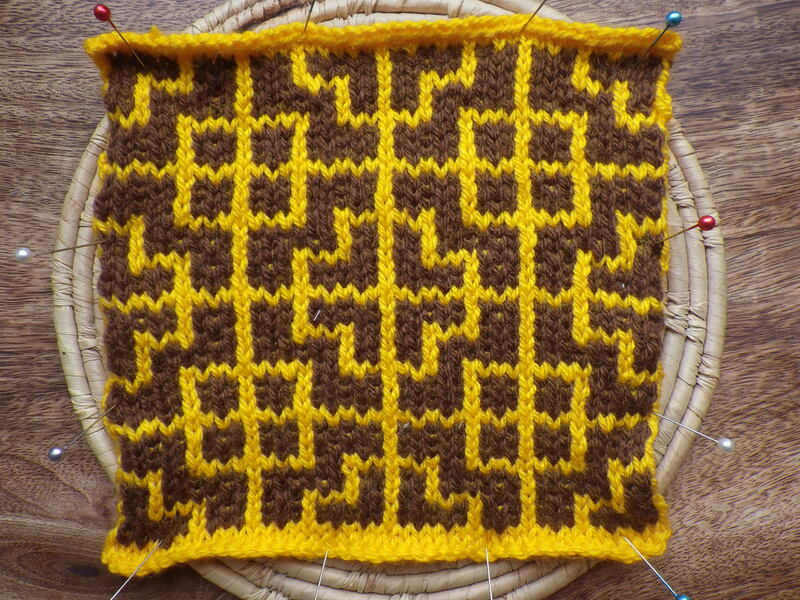 I love the yellow and brown square by Kate. Beautiful pattern. Is that knitted ? It pleases me to see the snail being adopted so lovingly and being given a lovely home 😉 I envy the attention TS is getting 🙂 Thanks for the updates. 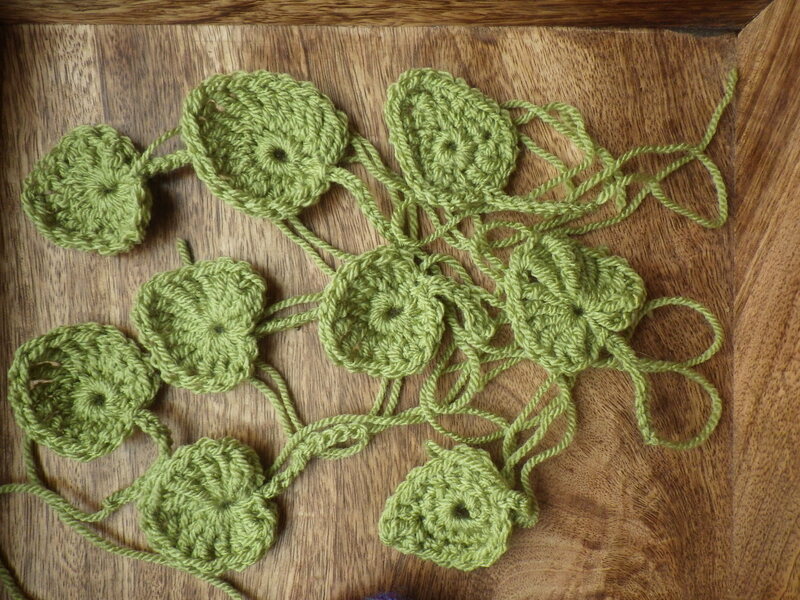 Yes, Kate’s square is knitted – I expected a crochet creation because she was my crochet teacher! Thank you! Full Masterpiece update soon! 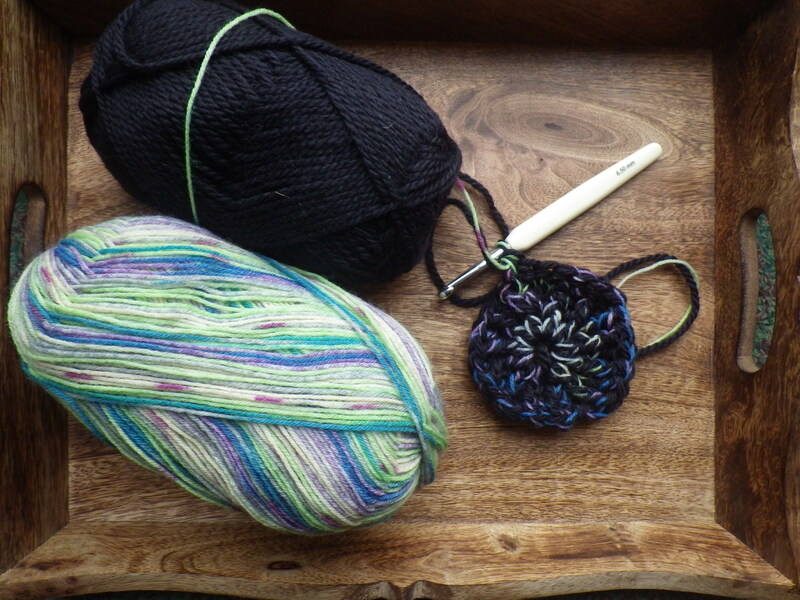 It really is lovely… I have such talented friends!